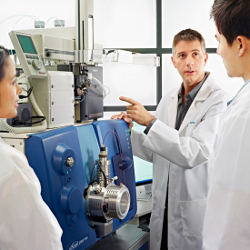 With years of experience and professional consulation, SCIEX can help you acheive your lab's vision. 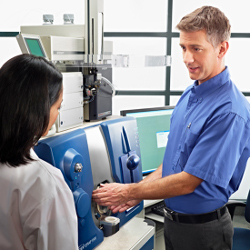 With our help, employ Lean Processing strategies to unlock the productive potential in your lab. SCIEX Diagnostics products are for in vitro diagnostic use. Product(s) may not be available in all countries. For information on availability, please contact your local representative. 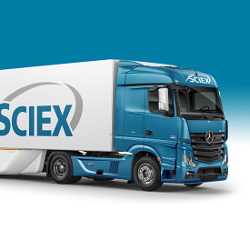 All other SCIEX products are for research use only. Not for use in diagnostic procedures.AB Sciex is operating as SCIEX.© 2018. AB Sciex. The trademarks mentioned herein are the property of AB Sciex Pte. Ltd. or their respective owners. AB SCIEX™ is being used under license. Regulatory compliance and software validation is complex, time-consuming, and costly. Get trained, certified SCIEX engineers to guide you through Installation Qualification (IQ), Operational Qualification (OQ), Performance Qualification (PQ), and Re-Qualification.